Have you sipped coffee and chewed pork to accompany it? Probably not. We wouldn't have thought that pork and coffee could go together. Yet Coffee Pork Ribs is a very common dish on both sides of the causeway. I may be wrong, but I believe this dish evolves from the world of restaurants and Cantonese Cze Char stalls rather than home kitchens. There are many restaurants techniques which are not just centered on making good food but the need to do so efficiently. 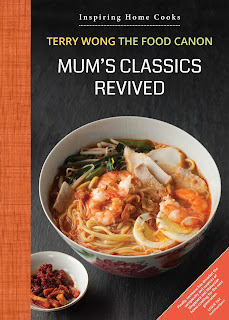 Recipes have been created or evolved from the world of the countless Cantonese Cze Char eateries dotting Malaysia and Singapore. For example, in the last few years, salted egg yolk is the latest craze. You can have salted yolk this and salted yolk that, often used to flavour seafood though not limited to it. Did it originate in Malaysia or Singapore? Who knows? Some cook eats in another restaurant and likes a dish. And he begins to experiment and make it in his own kitchen. It must taste good and just as important, the recipe needs to be practical for consistent and efficient production in a restaurant. Finally, a quick stir fry to coat it with the prepared sauce. The sauce gives the dish its name. The cooking method is popular in Chinese eateries as it provides the 'mise en place' and order of cooking suited to a commercial kitchen which has to handle variations of pork ribs orders; the need to serve the food hot (an important mark of Cze Char stalls) and where there are often a few cooks, including apprentices. There is also better control over the process as the final stir-fry phase is fast and will not overcook the ribs. The texture of the ribs can be consistently set by the marinating phase. And since it is a quick fry, the sauce retains their bright and attractive colour. When customers like what they see, they order. A dish of pork ribs done this way needs to have a good bite. The meat should not be falling off the bone and yet, tender enough. This is unlike the slow-cooked braising method for other types of pork dishes. The ribs are prepared beforehand. The sauce - may it be Jing du, Honey, Plum, Sweet and Sour, Coffee...and even Marmite (!) - is prepared separately and sometimes, even beforehand. When an order comes, the already cooked ribs are stir-fried sauce coated and out it goes to the customers. If the different sauces are already prepared beforehand, the chief cook can sneak out to watch a Liverpool match while his helpers cook the dish. He will of course take the credit for the ribs and blame the referee for yet another Liverpool loss. Back to ribs, one problem which the home cook faces is how to ensure the meat is tender enough for eating. If you use the stir-fry sauce coating method, you need to tenderise the meat beforehand. I do what restaurants do: I add bicarbonate of soda along with the marinade for the meat and leave aside for 1.5 hour or more. Soda bicarbonate or baking soda is widely used to bake cakes. It is also used in toothpastes. As with everything else, use in moderation and 1 to 2 small tea spoons of it is enough to marinate 1 kg of ribs. Custard powder is added to the marinate as it gives the ribs a nice vanilla taste. Tapioca flour will help the fried ribs to have a coating with a crunch. Corn flour may be used if you prefer. Deep frying the pork is the step where the ribs are cooked, of course. It caramelises the pork and adds a beautiful colour. To repeat the 3 steps: Marinade, deep fry and then, sauce it. The sauce for Coffee Pork Ribs is a no-brainer. The taste of coffee can come from instant granules (i.e. Nescafe) or espresso liquid from your espresso machines. Basically, the taste and intensity of the sauce depends on your preference. What type of pork ribs should you use? There are many type of ribs, depending on how the butcher cuts the meat. in Mandarin and dialects, there are different local terms used. As a general guide, use the cheapest pork ribs for soup ($10-12 per kg), the averagely prices ones ($15-$17) and the 'prime spare ribs' ($18-20) for stir-frying. I am happy with the $15 per kg cuts which I get from my butcher at the wet market. Always see the ribs in their uncut form, select and get it cut on the spot. I have seen some supermarts passing off the cheaper cuts for stir-frying. 3. Deep fry the spare ribs till golden brown, drain and set aside. 4. Add garlic to the heated oil and after 30 secs, add the coffee, dark sauce, and sugar. If you are using granules, you need to mix them in a small cup of hot water first. 5. Throw the ribs back in. Add the wine. Add splashes of water if you like more sauce. The point of this step is to coat and heat up the fried ribs if they are cold. This is a drier version. If you are eating it with rice, it will be good to make more sauce. You just need to add more water and increase the amount of ingredients used for the sauce. This is more of a Auntie Ruby inspired dish as I learnt the double cooking method from her but she did not cook coffee ribs regularly. Once you understand this method of cooking, you can experiment with all kinds of sauces. And with experience, you should be able to make this regularly. If you have helpers in the house, they can also be trained to prepare this. Is thr a way to avoid d frying part? Love to cook this dish but it always deters me b'coz I need to FRY, let alone DEEP FRY!!! To avoid frying, you can use the braising method. Check out the post on that. I have also posted a recipe with the steaming method. Once u understand the method, you can vary the ingredients and use the sauces you like. Great coffee ribs recipe. I learned a very similar version from my buddy Seetoh and it always works great -- had a pile of them for the family tonight! I'll try your version next, as I can tell just from reading it that it's going to be terrific. I also intend to try it with a bit of chocolate and with champagne and a sprinkling of dried chillies in the marinade. 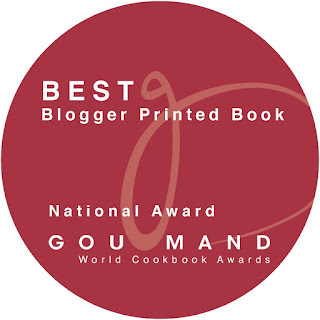 BTW, I really enjoy your blog and have added it as a link from my food blog, FoodWalkers (http://foodwalkers.blogspot.com) so that my readers can see your excellent writing and recipes. Thanks! Most welcome, Kevin...and do enjoy your champagned-ribs! Dear Food Canon, enjoy your blog and have been trying a few of your recipes. It is INDEED VERY VERY good and such a refreshing change from our usual homecooked menu. However we eat more chicken and fish than pork. Just wondering whether the above recipe would do as good on chicken instead of pork?? Do you also have a recipe for braised sour plum chicken that you can share. This recipe will work for chicken too, most definitely. Will let u know if I come round to making the braised sour plum chicken. Hello and thanks for your reply. Looking forward to your sour plum chicken recipe when you come up with it!!! lol!! Coat the squid in egg, then rice flour. Deep fry in very hot fire.this will ensure the yolk has a surface to stick to. After deep fring, coat w the salted egg. The egg yolk u prepare separately. Use fresh squid. Deep fry quickly n don't over cook the squid and it will not be hard. Hi there! Great food blog - love it. At what temperature do you fry the pork ribs and for how long? Hmm..it's hard to be precise about temperature when wok frying, unfortunately. Fry till you find it is soft enough. Taste and test.